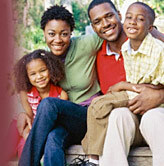 The Family Enrichment Center, Inc. is a not-for-profit, faith-based social services agency providing community-based, family centered social services since 1992. The agency was founded with the values of commitment, perseverance, compassion and integrity and a commitment to ensure permanency for all children. Its mission is to be as responsive as possible to vulnerable children and families and to ensure parents have the support they need to help provide their children with the quality of life they deserve. Please support FEC’s efforts to collect toys for distribution to our foster, kinship and adoptive families who might be experiencing a difficult time providing gifts this holiday season. If you don’t like shopping or are pressed for time, we have arranged a no fuss, no hassle way to make your toy donation. Simply click your choice of links below (or copy & paste into your browser), choose the gifts you like from the wishlist and have them sent directly to our office. Feel free to pass this information on to others.